This incense burner/ashcatcher contains a hidden storage unit to hold incense sticks inside to keep them fresh & ready to use. 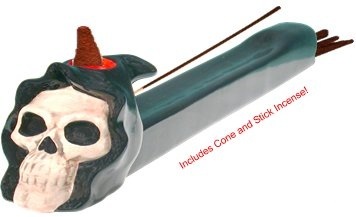 This burner includes both cone and stick incense. Made of cold cast resin, hand painted and approx 13 inches long.